We pride ourselves on offering a complete range of Managed IT Security Solutions covering the full spectrum of requirements for today’s online organisation. All eSecure solutions are provided from our global datacentre network, monitored and managed 24/7 by the best engineers in the business, and our clients can access up to the minute information on all aspects of their IT security through our unique Unified Digital Defence Portal. All solutions “plug in” to your existing IT infrastructure with little or no time required from your in-house IT staff, ensuring seamless intgeration between eSecure Managed Services and your business. 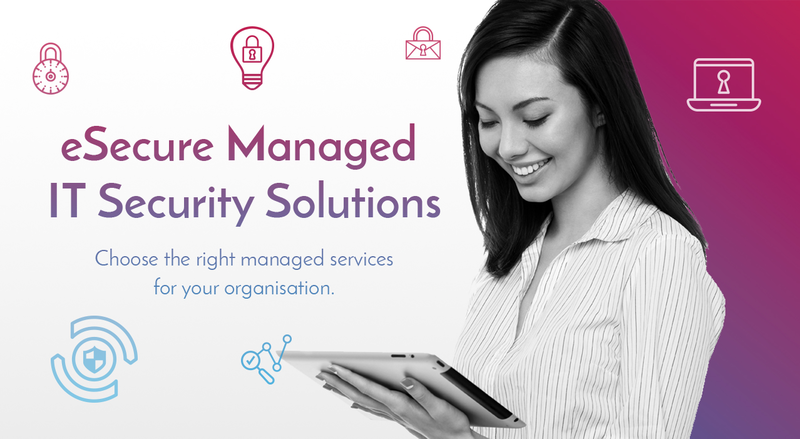 And though we can cover all IT security requirements each is available as a stand-alone service allowing you to choose the right managed services for your organisation.